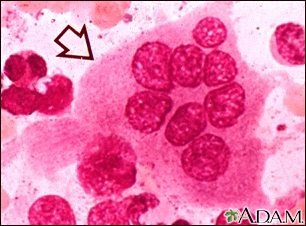 This picture shows a normal osteoclast. It is a large cell with separately identifiable, multiple nuclei. Osteoclasts are needed to repair bone.